WEST RUSH is probably the wildest comedy of Osamu Tezuka that I have read. The story borrows widely from western movies, carrying well known personalities from Arsène Lupin to Charlie Chaplin and from Captain Kidd to John Wayne. The manga Bouken kyou jidai (”The Era of Wild Adventure”), aka West Rush, is an early work of Tezuka’s from the year 1953. It is a light comedy, and Tezuka drew it at the same time with the slightly heavier work Janguru taitei (”Jungle Emperor”, 1950-1954). 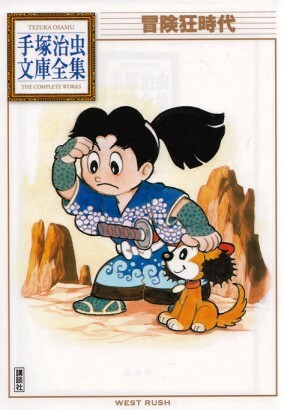 The hero of the 200-page story is the secret envoy from Edo, young Arashi Takonosuke. His main adversary is a sly saloon-owner, played by one of Tezuka’s repeating characters, Ham Egg. The other crook is Arsène Lupin, who turns good in the end. West Rush is itself one of the first manga’s by Osamu Tezuka (1928-1989). 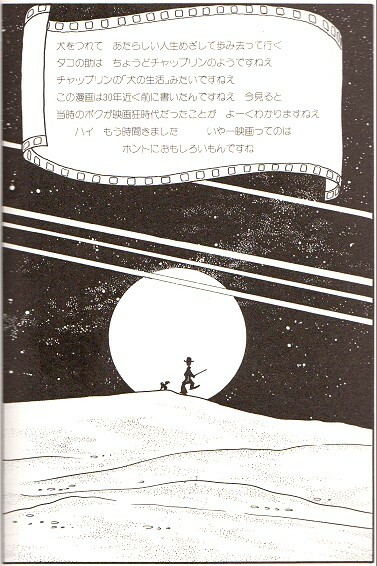 Tezuka published his debute work Maachan no nikkichou in 1946. The following year he became famous with his first story manga Shin takarajima (”The New Treasure Island”). 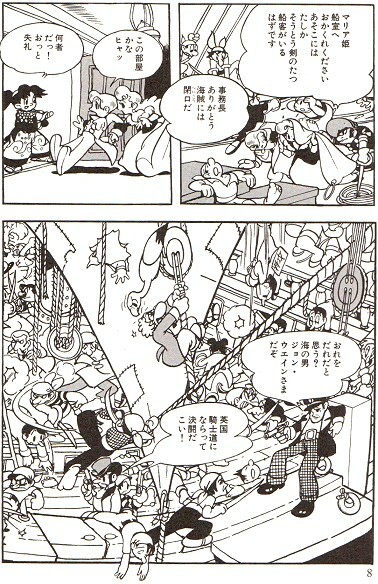 West Rush is based on an even earlier story, Oyaji no takarajima (”Uncle’s Treasure Island”), which Tezuka wrote in middle school. And West Rush truly feels like a story written by a schoolboy: it is full of personae, twists of plot and references. Let me assure, this is not a bad thing. In Japan, West Rush has been published repeatedly since 1953. The latest publication came in the series Tezuka Osamu – The Complete works (Tezuka Osamu bunko zenshuu). As far as I know, the manga has never been translated. West Rush starts like a good adventure movie. WEST RUSH travels around the globe. It begins in late 1800’s, on a ship to America. After a shipwreck a tornado carries people from the ship to the Wild West. Hunting Napoleon’s old treasure, the story continues to Morocco and Bagdad. West Rush follows the best traditions of adventure movies. Already on the first pages the sinking ship’s crew fights desperately against pirates. After that, the adventure seldom calms down. Well, once or twice the hero admires the starry sky with a sweet lady. There are lots of people in the story. From the wrecked ship Takanosuke is followed by one pirate, a magician from Bagdad, an old Englishman and a Hungarian princess with her brother. The old man has received Napoleon’s treasure map from Captain Kidd. Princess Maria is hoping to return soon to Hungary, to save her country from the Prussians. More people jump in later in the story. One of the most fascinating is an intelligent dog, whose names include Pochi, Shiro, Pesu, Dog and Wan-ai (One-eye?). The dog saves many people during the trip. She takes care of the map, which is lost several times. In the end she is found to be an enchanted princess. The plot is exactly as complicated as you would guess from the number of actors. Many pirates, desert rogues, gunmen, masked magicians and foreign legionaries are met. The story rushes from one adventure to another, often losing logic. The author has obviously had fun, and so will the reader have. Finally, the treasure proves not to be worth much. 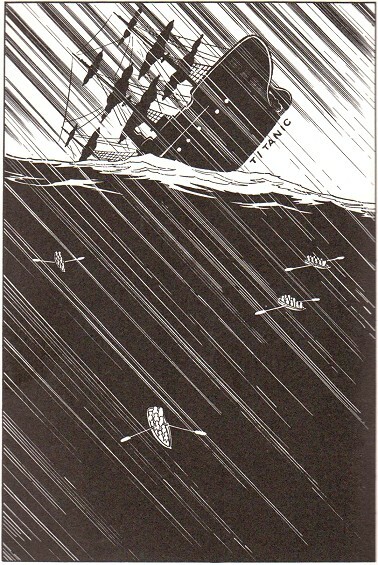 When the ship sinks, Tezuka thinks of Titanic. WEST RUSH has lots of references to American movies that Tezuka had seen. When a tornado picks up the travelers, it is labeled ”Over the Rainbow”. That is the famous theme song from The Wizard of Oz (1939), where Judy Garland is carried by a tornado to the wonderful land of Oz. In a Nevada desert, travelers ride in a wagon labeled ”Road to” – and the rest is covered by a speech bubble. The reference to Bing Crosby’s and Bob Hope’s series of Road to -comedies is obvious. One of the films is Road to Morocco from 1942. Also West Rush goes next to Morocco. When a sailor fights pirates, he says: ”Who do you think I am? I am the sailorman John Wayne.” In many small roles there are more characters famous from movies: Wild Bill Hickok, Captain Kidd, the count of Monte Cristo, Dracula. Even a French Movie is mentioned. Near the end of a story, Takonosuke buries the dead princess in the desert sand. There he ponders that the situation is a lot like the ending scene of Manon. The dramatic movie Manon was directed by Henri-Georges Clouzot in 1949. In the end, a well known little tramp walks to the sunset with a dog. The model for Takonosuke’s relationship with the dog has found inspiration in Charlie Chaplin’s short movie A Dog’s Life from 1918. In the end, a little tramp walks to the setting sun.